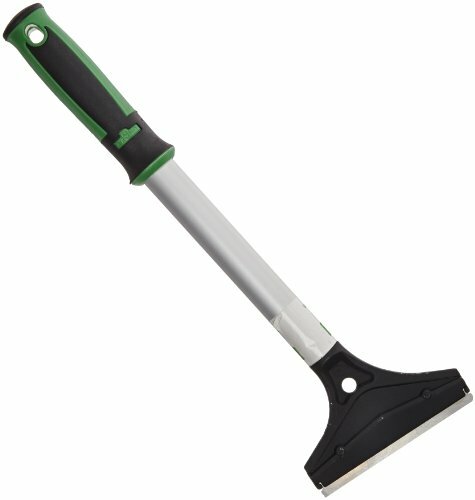 Unger rugged surface scraper with comfortable grip and reversible blade. The 12-inches ergonomic aluminum handle allows two-handed use for added pressure on tough scraping jobs. Includes 4-inches wide carbon steel blade with blunt edge for cement or stucco work and razor edge for scraping paint and tape. Use with replacement blades RB100, RB10C, and RB30C.